The PvE/PvP hybrid Gambit is coming with Forsaken next week. 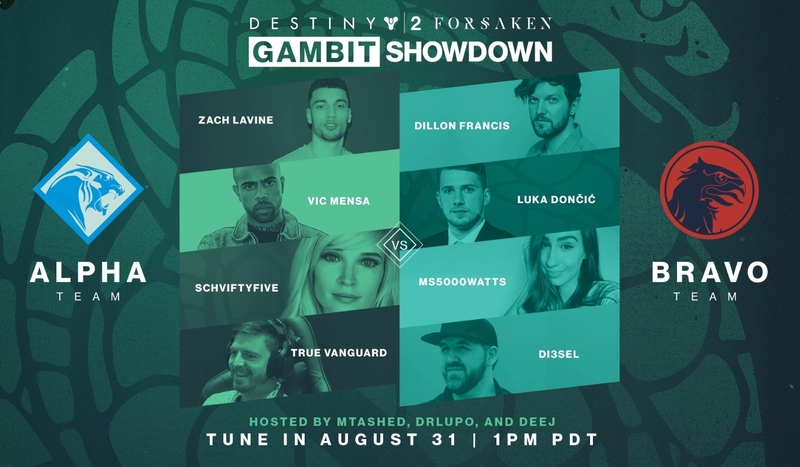 Grammy-nominated rapper Vic Mensa, EDM DJ Dillon Francis, and NBA stars Zach Levine and Luka Dončić highlight the rosters for an exhibition of Destiny 2: Forsaken’s new Gambit mode in a live stream today. The musicians and rappers will be joined by content creators SchviftyFive, TrueVanguard, Ms5000Watts, and Di3sel to show off the upcoming new PvE/PvP hybrid mode from Bungie’s headquarters in Bellevue, Washington. The four-vs-four PvE/PvP hybrid mode sets the two teams in different areas while fighting off AI enemies and banking points. When certain point totals are reached, one player can invade the enemy team’s domain and try to kill them in an effort to slow their progress. The matches will be live streamed on Bungie’s Twitch channel, and it will be commentated by Ben “DrLupo” Lupo, Michael “MTashed” Tash, and Bungie community manager David “DeeJ” Dague. 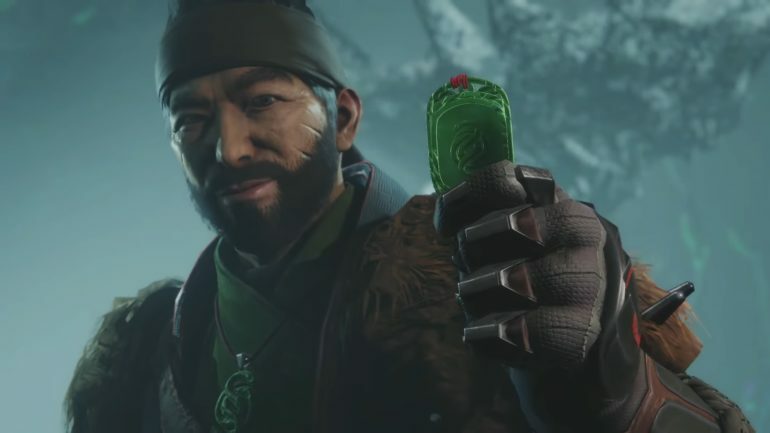 Gambit will receive a 24-hour trial period this Saturday, starting at 12pm CT, available to all Destiny 2 players. After that, the mode will again become playable on Tuesday, Sept. 4, for owners of the Forsaken expansion. This isn’t the first time Destiny 2 has paired up with pro athletes to promote the game. Last year, New York Yankees slugger Aaron Judge wore Destiny 2-themed cleats and batting gloves in the days leading up to the game’s initial release.